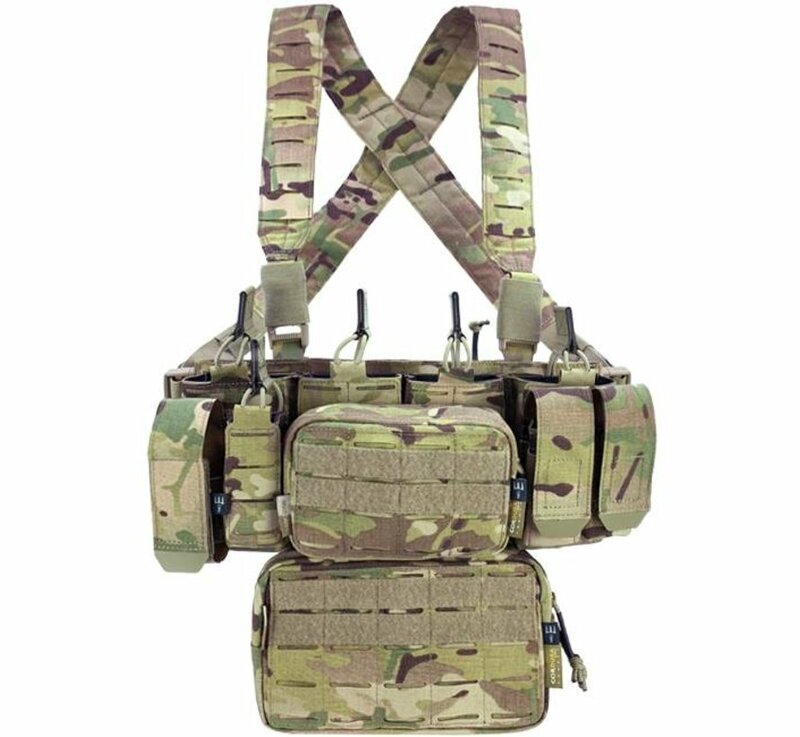 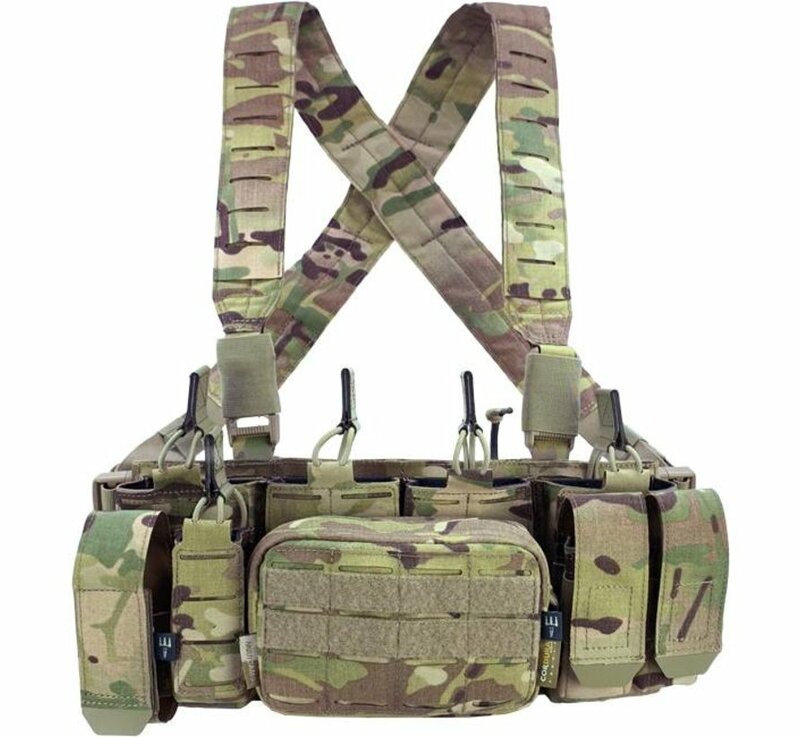 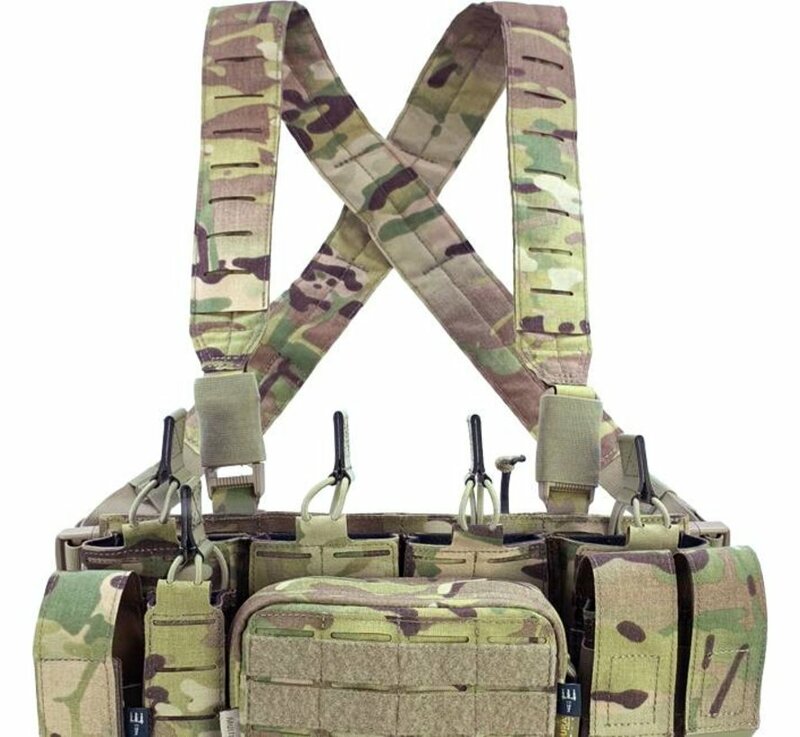 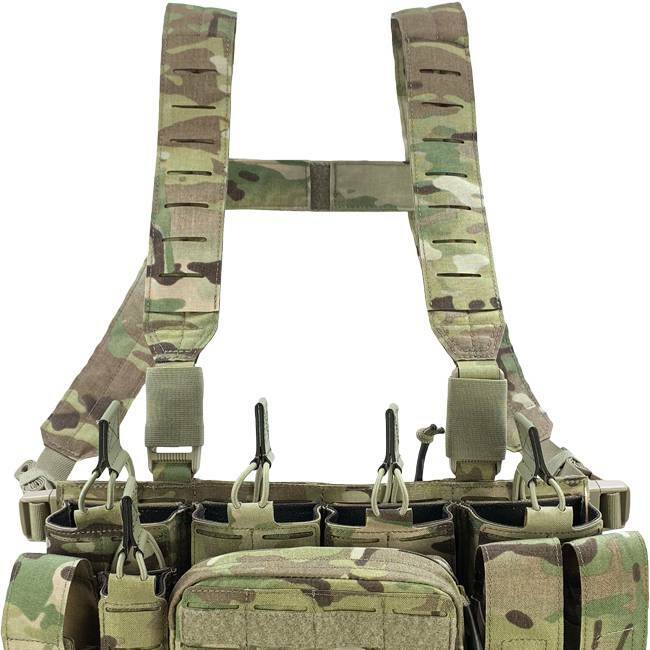 Pitchfork MCR Modular Chest Rig Complete Set (Multicam). 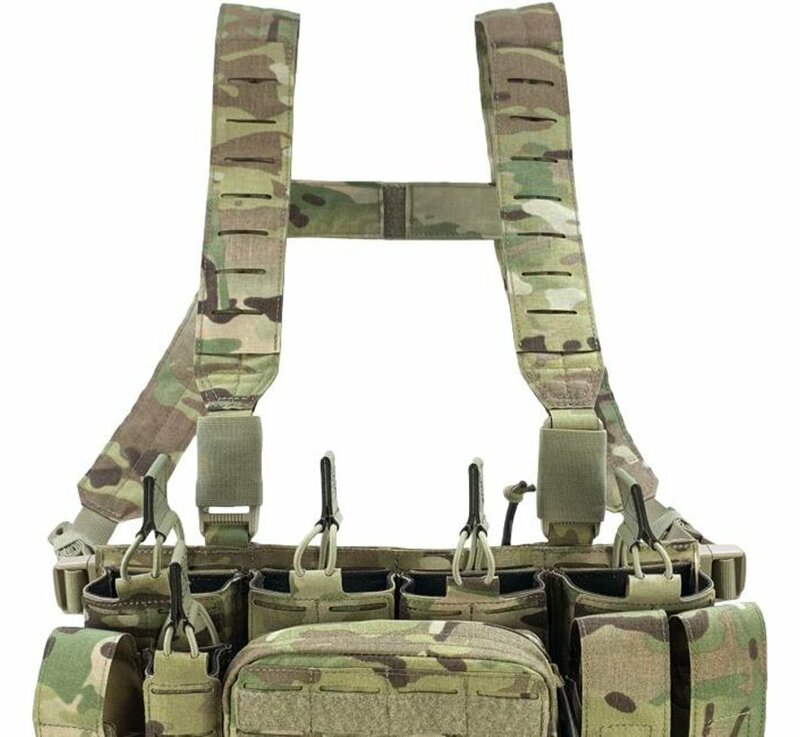 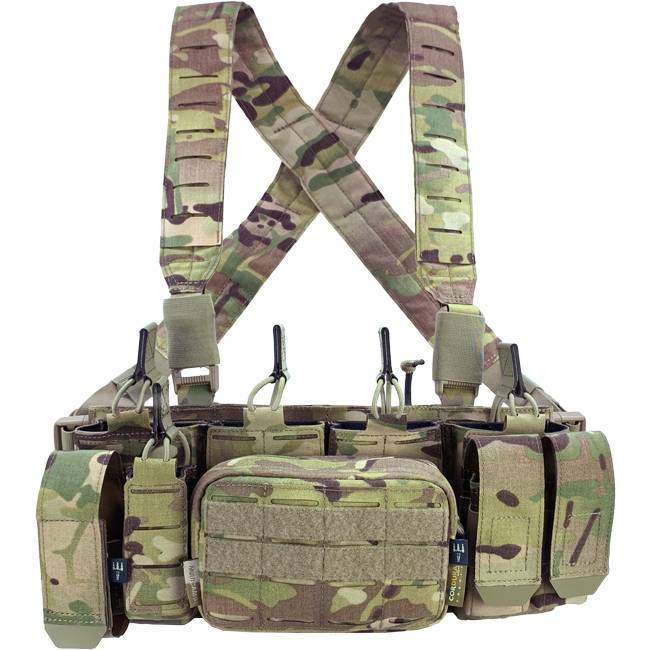 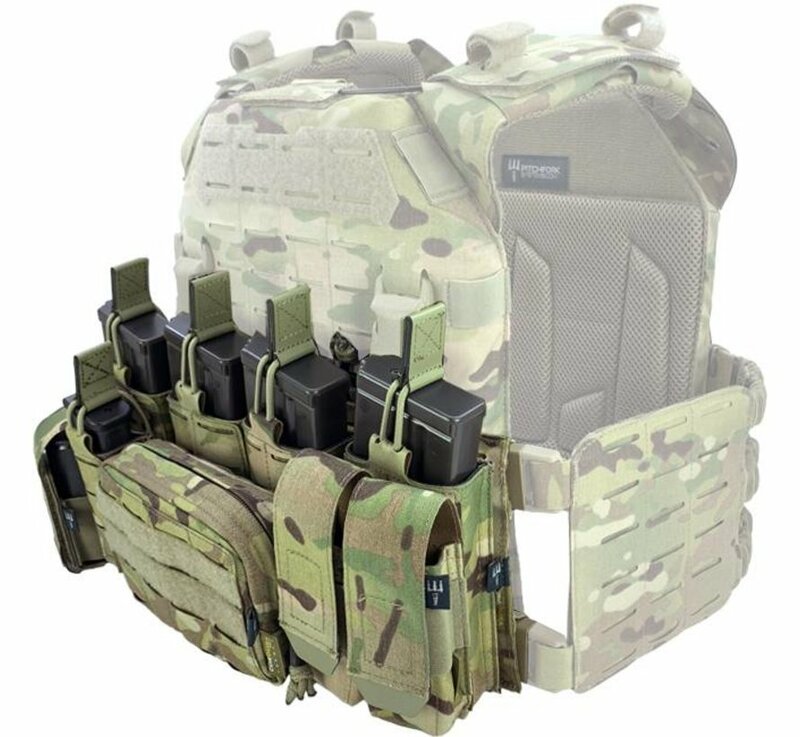 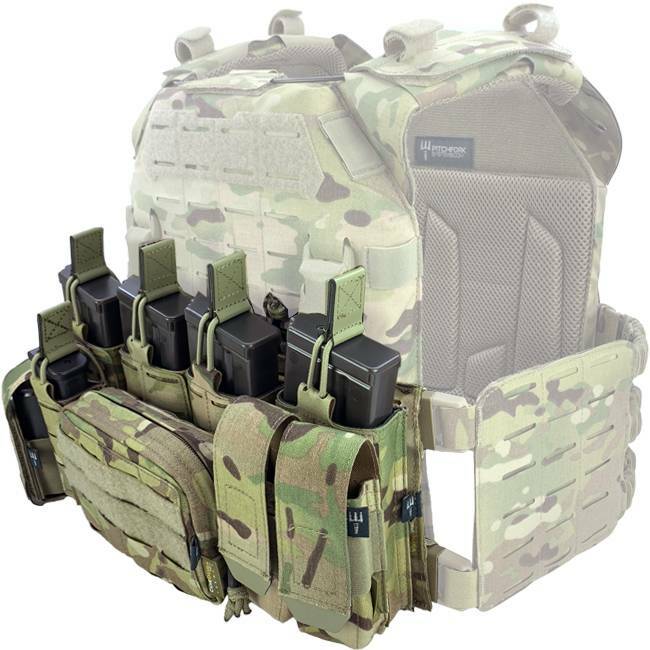 The Pitchfork MCR Modular Chest Rig Complete Set is a freely configurable, MOLLE system based Chest Rig, which comes complete with a variety of pouches and the required shoulder and hip straps. 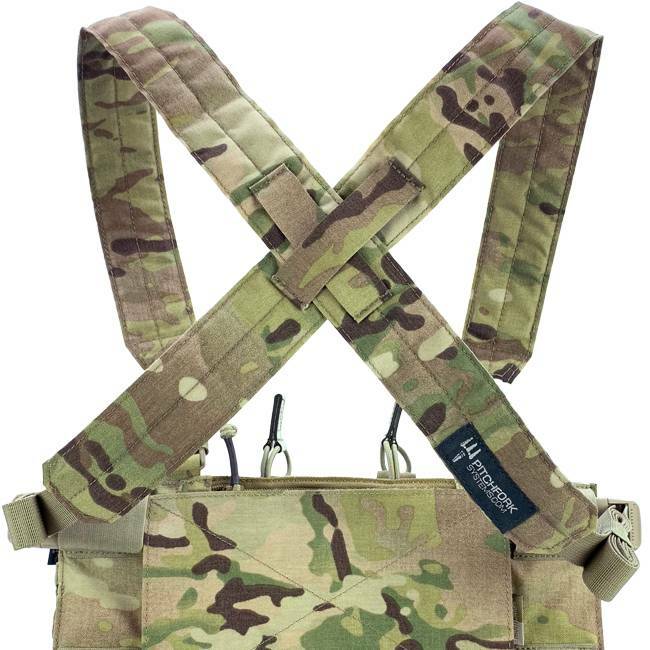 The Open Single Rifle Magazine Pouch can hold all common 5.56 / .223 rifle magazines, even SIG and AK47/74 magazines fit perfectly (G36 magazines do not fit). 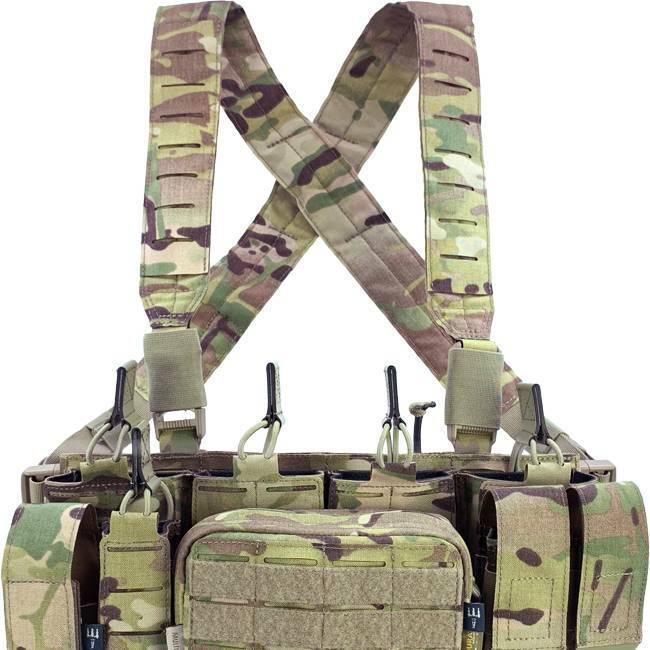 The 335 x 145 mm LaserCut laminate base is supplied complete with hip belt and shoulder straps, both size adjustable and equipped with the required buckles. 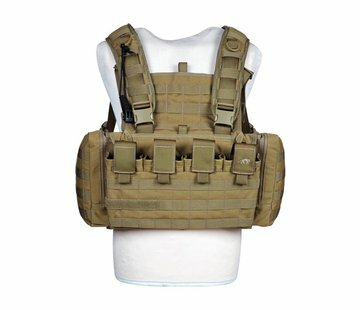 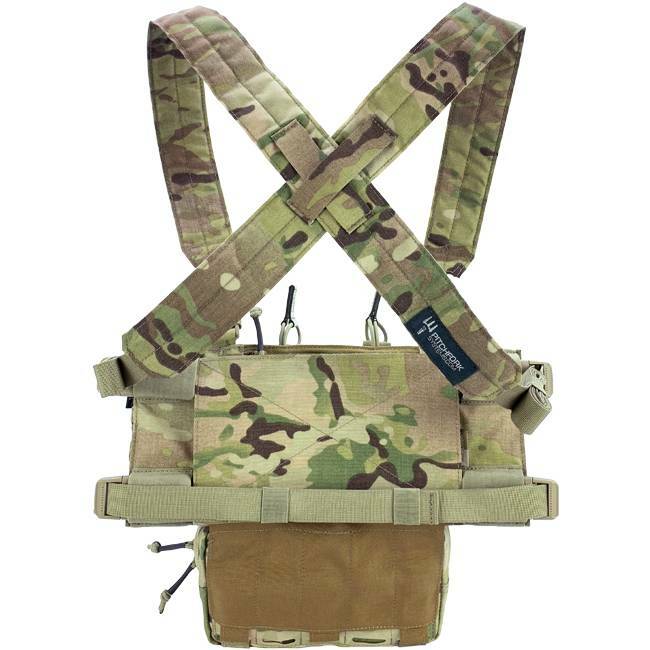 The shoulder straps are lightly padded for added comfort and feature a LaserCut MOLLE surface for attaching pouches and equipment. 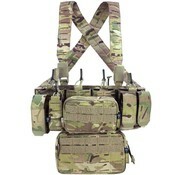 They can be used in an H- or X-configuration, depending on personal preference. 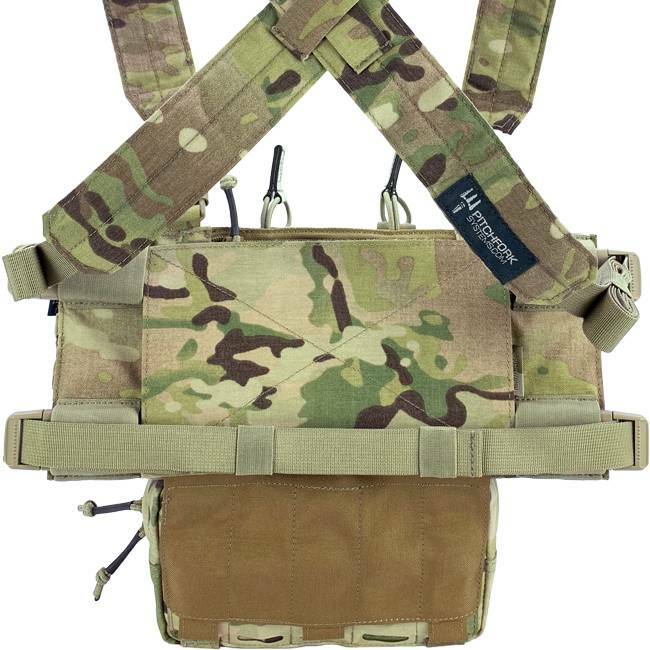 The zipper on the back of the base allows access to the document pocket, which extends over the entire height and length of the Chest Rig Base. 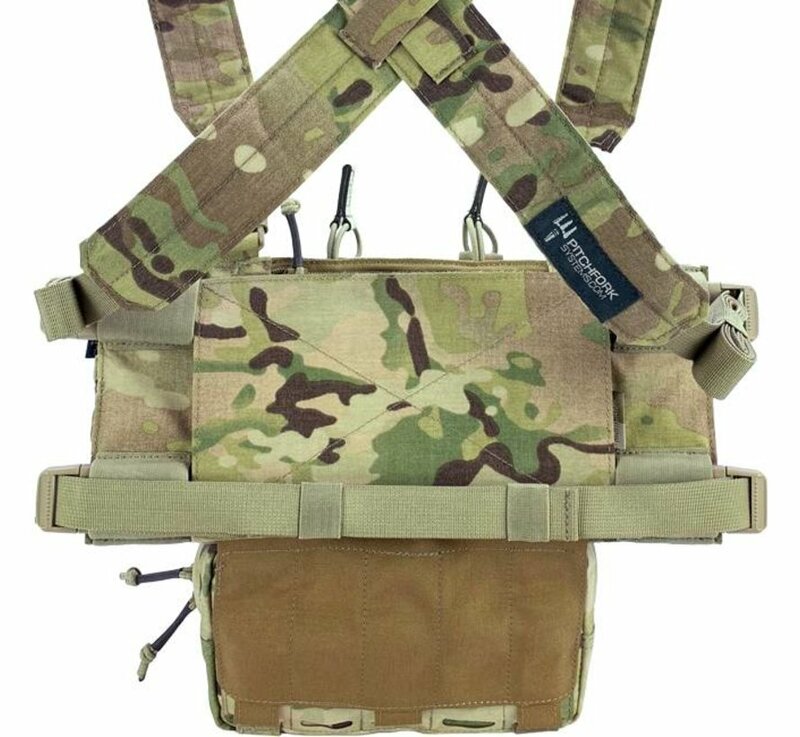 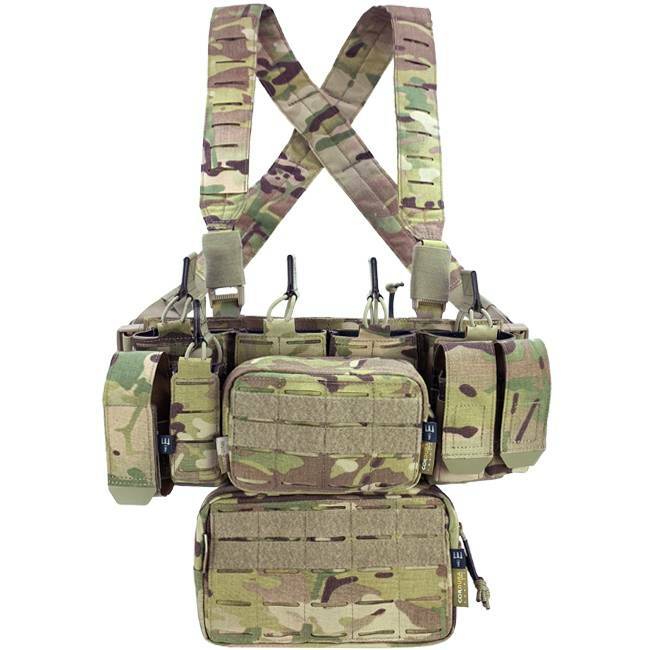 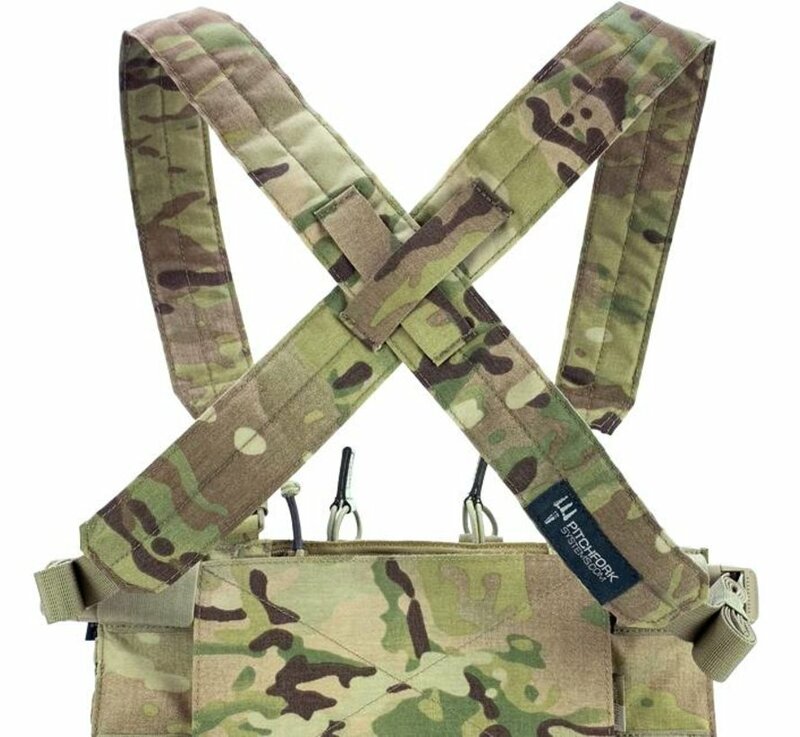 The medium-sized Pitchfork Horizontal Utility Pouch in the lower area is installed by means of a Velcro adapter on the back of the Chest Rig Base and can also be removed if necessary. 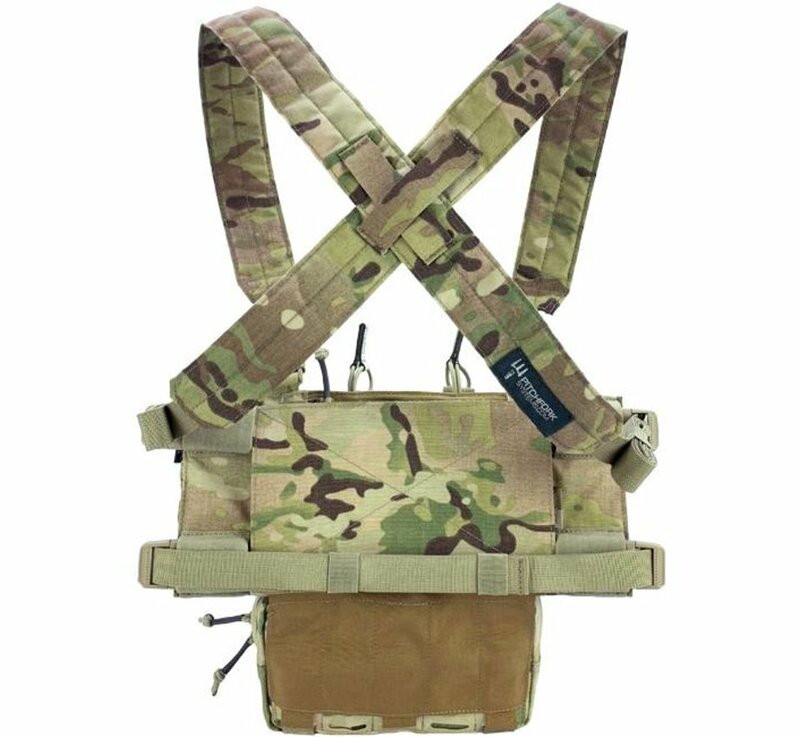 Thanks to the Velcro patch on the back of the Chest Rig Base, other products such as a Drop Fanny Pouch can also be installed.